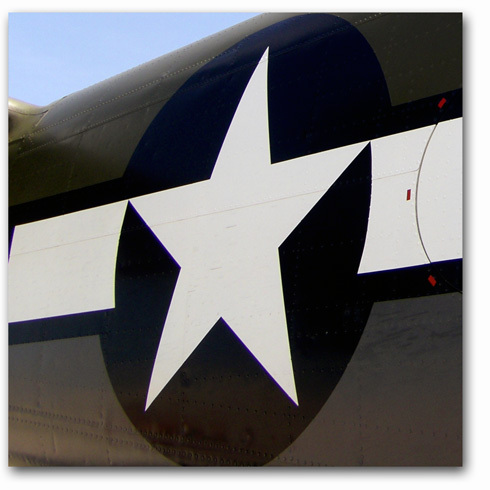 Attended the airshow held at Willow Run again this year. ‘Mustang Mania’ was the theme; almost 20 examples of the P-51 WWII fighter were on display both on the ground and in the air. 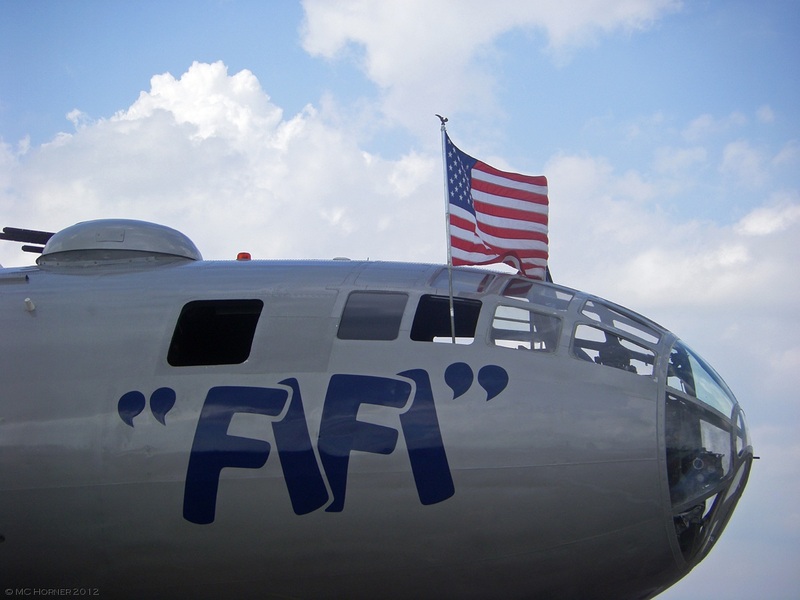 Another highlight was the appearance of ‘Fifi’, the only still-flying B-29 bomber. Mustang line-up anchored by Fifi. Modern jet fighters including a Sea Harrier, and an F-18. 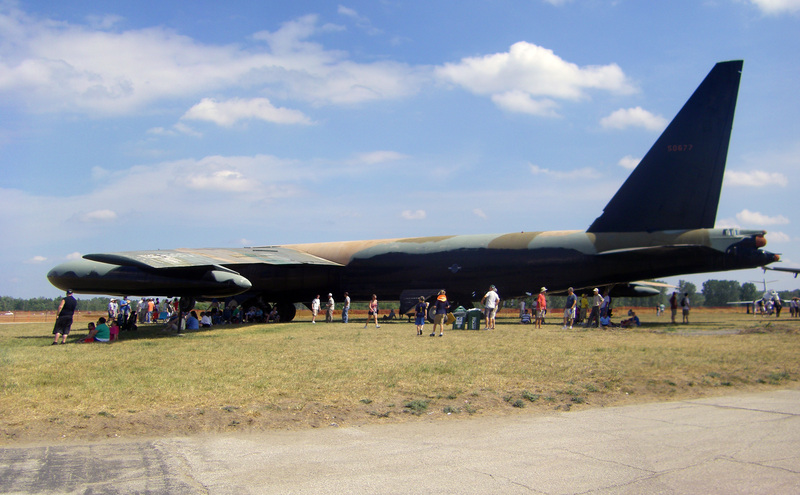 The Yankee Air Museum’s B-52 on static display. F-86 sabre and a WWII Voight Corsair. This entry was posted in Aircraft, Good, clean fun, History, Michigan, Photoblog Updates, Photography, Thunder Over Michigan. Bookmark the permalink.